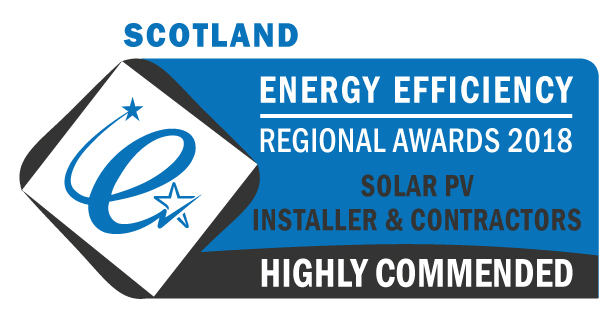 Ceiba Renewables have won Highly Commended in two categories at the Scottish Energy Efficiency Regional Awards 2018. The Energy Efficiency Awards were set up in 2014 to help recognise the work being carried out by the energy efficiency sector in Scotland and to provide public recognition for the excellent work the sector is doing. The awards encourage best practice within the Energy Industry as it works to improve UK housing stock. Ceiba had been shortlisted as finalists in both the Solar PV Installer and the Small Project of the Year categories. The winners were announced at a dinner event at the Hilton in Glasgow on 29th June with Ceiba winning Highly Commended in both categories.